Serves: 4 people Difficulty ': Easy Preparation time: 30 minutes INGREDIENTS 300g. 1/2kg of linguine. 1/2kg mussels. 200g of clams. canned tomatoes 1 clove garlic 4 tablespoons olive oil 1 piece of dried chili pepper 1 sprig of parsley, some basil leaves, oregano, salt ---------------------- CASE ---- Wash and scrub the mussels and the clams. Arrange them in a large pan and let them open fire on a high flame. When they are all open, remove the valves were closed and those that will then put mussels and clams in a bowl with their cooking water after having carefully filtered. Mince the garlic with the parsley and basil, fry in oil, add the tomatoes in the past, a piece of red pepper, salt and oregano. Make the sauce and add the clams and mussels to the cooking water. Continue to cook for 10-15 minutes to let thicken well. 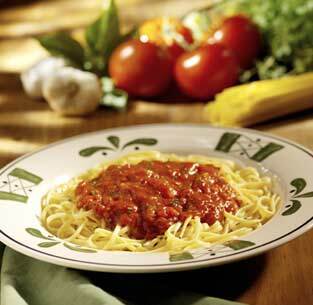 Cook the linguine and throw it into the pan with marinara sauce, skip the pasta a few times and serve.